Mozu vows revenge and infiltrates Japan as a North Korean agent. The suspension of a murder case investigation is announced suddenly without a clear explanation. The incident involves numerous people who were killed at a hospital. Political intrigue seems behind the case. Kuraki (Hidetoshi Nishijima), Osugi (Teruyuki Kagawa) and Miki (Yoko Maki) try to reveal the conspiracy which is about to be hidden. mirei Mar 27 2015 10:59 pm Season 2 is better than season 1 overall. Hiroki Hasegawa and Sosuke Ikematsu also Kagawa Teruyuki acting is very stand-out in this series. 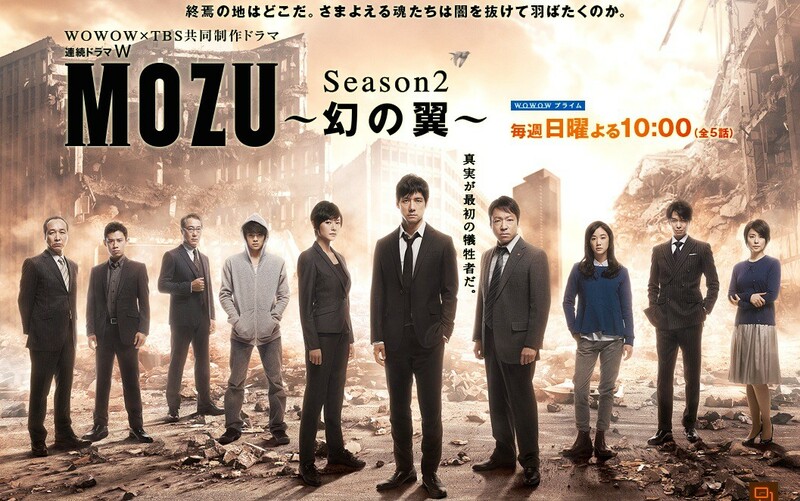 Wish there'll be another series because there's still question to answer in Mozu. Next thing, I wonder why the summary said "North Korea". Shaikan Oct 30 2014 7:05 pm Just finished season one and two. The whole story is well wrought and the acting is really good too. Mozu can with no doubt match up with hollywood productions. But there remain open questions, like, what is Dharma? I hope there will be a third season. But again, great job.